Cell phones and high-definition television are forms of communication and entertainment that have become integral parts of our lives. But what happens when the disabled among us can’t access the technology that most of us take for granted? A close look at accessible technology for the visually impaired and blind reveals that we’re not all on a level playing field. As John Rae, first vice-president of Alliance for Equality of Blind Canadians, stated, “Technology was supposed to become our great equalizer, but in fact, it’s become a double-edged sword.” In other words, what good is developing a service if some individuals are excluded from its use? When it comes to the Internet, for example, the issue of making content available to all has created more of a “web entanglement” than an enhancement of what existed before. 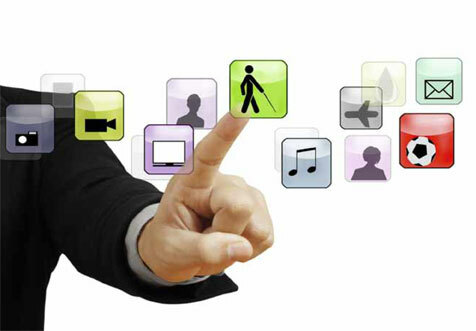 While an increasing amount of information is available via the Internet, a large part of it isn’t accessible to visually impaired individuals. A lot of the information posted on the Internet remains available in PDF format only. An additional challenge is that one alternative format – Braille – is being used less and less by the blind community. Two other types of technology that are high on the priority list of accessibility rights advocates are described video (DV) and the “user-friendliness” – or lack thereof – of cell phones. In described video, which applies to television as well as to movies, a separate audio track fills in a description of certain scenes in which either there is no dialogue or the dialogue doesn’t convey what is taking place on screen. The company providing the description decides how much of the visual content should be described and creates the text. They also assume the cost. Martine Vallee, director of social and consumer policy for the CRTC, stated that in 2001, the CRTC began imposing DV requirements on conventional English television stations, extending this in 2004 to English pay and specialty services whose content was comprised of 50 per cent or more of drama, documentary or children’s programming. In such cases, the four-hour per week requirement becomes what is known as a “condition of license” at the time of first issue or renewal. The CRTC has held hearings in the past few years to review the issue of described video. The organization maintains that the current requirements are sufficient, citing, in part, financial considerations. In December 2011, the Commission will be holding a hearing on DV for French television and Vallee reports that a mandate will be established for that sector, as well. For his part, Rae feels that creating greater access requires greater regulation. “The current government position is to impose less regulation in favour of having the marketplace solve its own problems, a stance that does not favour the needs of the disabled segment of Canadian society. We are extremely disappointed that the CRTC has not increased the described video requirement”. TheAlliancefor the Equality of Blind Canadians is seeking incremental increases in the amount of described programming, with the goal of reaching 100 per cent coverage within 10 years. Marc Workman, director without portfolio of the Alliance for Equality of Blind Canadians, is equally concerned about the accessibility of cell phones. Hardware and platform accessibility covers such items as touch screens that are too small or grouped too closely together, and improving access to cell phone applications through designs that take into account the needs of the visually impaired and blind. Workman praised Apple for doing just that with an iphone featuring a screenreader voiceover that tells the user which key they’ve just touched. By contrast, he stated that Android phones provide some accessibility, but that their functions for the blind don’t run as smoothly. Other issues Workman cited are the need for improved Bell Canada customer service training, and greater web access through online screenreader services that would enable users to access their bills online and compare phone plans. A 2006 Statistics Canada survey reported that 836,000 Canadians identified themselves as having a “seeing disability”. With a growing number of Canadians experiencing some type of vision loss, caused in part by an aging baby boomer population, the National Coalition for Vision Health states that the total number of visually impaired and blind Canadians is projected to double over the next 25 years. In light of this, greater accessibility to various types of technology is a major social concern that merits the attention of all Canadians.